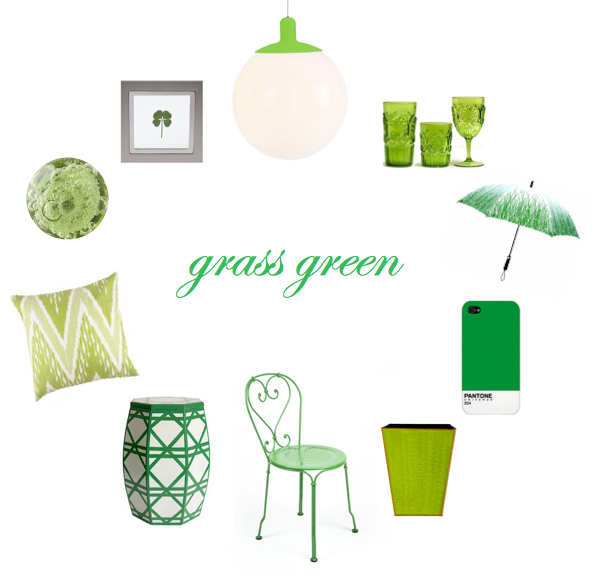 Color Friday is: Grass Green! This week’s Color Friday is grass green…as in the color of grass, four leaf clovers, and beer bottles! What else would the color for the week of St. Patrick’s Day be? Here are the picks; I’m in love with the chair and the super chic umbrella! There just isn’t much else to say but relax and enjoy! Have a great green weekend!